For the longest time we’ve been under the assumption that the PS5 will release in 2020, but new rumors are making it sound like the PS5 isn’t that far away. In fact, it’s looking like the first signs of the PS5 will start appearing at the end of 2016 when PlayStation VR arrives in October. I know what you’re thinking, what does a virtual reality headset have to do with the PS5? Ladies and gents, it is (or will be) the PS5! I know, your mind just got blown, but I’ve looked at the factors and considered the rumors and it’s all starting to make sense. Read on as we discuss the evidence and signs that the next generation game experience from Sony is coming much sooner than we all thought. Let’s assume that PlayStation VR is the first step in an ongoing rollout leading to the PS5. What would that mean? Are we looking at a VR only console? Will there even be a console? When will Sony stop beating around the bush and call it a PS5? We’ve discussed the prospect of a prospect of a cloud-based console on PS5 Gamers before, but the signs have been growing stronger and stronger. It started with PlayStation Now, a cloud streaming service that is best described as Netflix streaming, but for video games. While that service hasn’t exactly taken off, it’s not going anywhere either. It’s paired with a gaming culture that is slowly pushing digital downloads over discs. It’s likely that the PS5, if it is a console, will have an optical drive for the sake of making people happy, but who will use it in that scenario? How often do you download games instead of going out and buying them at launch? When we stop to think about it, we’re being conditioned to prefer digital content and furthermore we’re being taught to prefer things like streaming over downloads. And why not? It’s more convenient, except when the internet goes down. Still, the world is embracing the change faster than we ourselves realize. Is it some grand conspiracy theory, or is this truly what we want? The answer is still up in the air, and that’s why Sony is taking this route. It’s clear, judging by PlayStation Now, that Sony likes the idea of a streaming game service. They wouldn’t have invested so much time into it otherwise. Sony is good about testing the waters before they push out a new product. They still have their flops, but mostly the gradual introduction of new hardware like PlayStation VR and new services like PS Now gives them the opportunity to test the waters. The only real downside to this concept, and it’s a doozy, is that it requires a strong and consistent internet connection. In the grand scheme of things, that’s hard to come by. 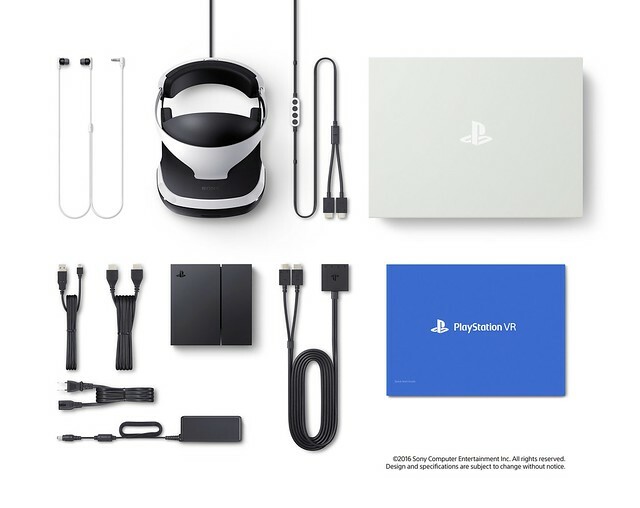 By releasing PlayStation VR as an accessory, Sony can slowly integrate new technology into it and ultimately have the perfect device to stream games to from the cloud. As time goes on, the internet will become more widespread and average speeds will continue to increase. As of 2015, Akamai published its State of the Internet Report and revealed that average connection speeds have increased by 10% year over year. South Korea, Hong Kong and Sweden lead the way with the worlds highest average speeds. Even so, over 134 countries experienced an increase in connection speed each year. The numbers range from a 4% bump in Japan, to a whopping 181% increase in Fiji. It’s an incremental increase, but one that should accelerate as infrastructure improves. We’re still waiting to see if Google Executive Chairman Eric Schmidt was right when he predicted back in 2013 that the entire world would be connected to the internet by 2020. And let’s not forget initiatives like Google Fiber and what that will do to the industry. 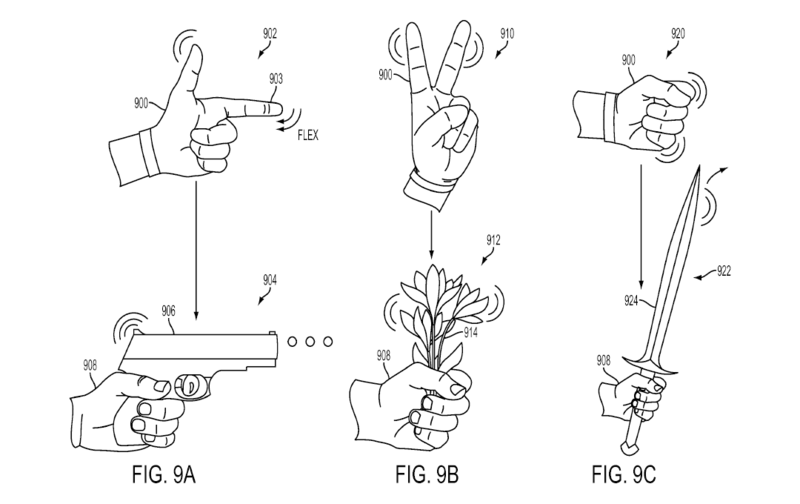 Our next piece of evidence comes in the form of a U.S. patent that Sony filed for a “Glove Interface Object”. In total, three patents were filed by Sony which all pointed towards a concept that involved glove controllers you wear on your hands. This idea would be combined with a head-mounted display (HMD) much like the PlayStation VR. In the patents, Sony describes how the gloves would interact with what you’re seeing on screen. You would see a virtual hand in front of you that mimics the movements of your own. The controllers would also provide haptic feedback that gives you the feeling hitting or colliding with something by using vibrations in the gloves themselves. One final piece of the puzzle here is how the gloves transmit data. The patent specifies a “computing device for processing to determine a finger position…” which would normally suggest the PS4, but never in the patent is the PS4 mentioned. Think about this for a second: we have a screen and a console of sorts in the form of an HMD like PlayStation VR, and we also have a means of input in the form of the gloves. Seems like the only other thing we need is a box to transmit information or process the various elements of the games. Of course, that box could also be replaced with a receiver in the HMD that streams data from cloud servers. See where I’m going with this? This patent, combined with the concept of cloud-based game streaming gives us the basis for a new type of console, one that we’ve discussed and heard rumors about in the past. Our next stop on the road to a final conclusion brings us to the divisive PlayStation Now service. This service is a modern cloud-based solution to the PS4’s lack of backwards compatibility. Instead of giving the system the ability to play PS3 games, Sony has instead brought about a subscription service where you can choose and stream games directly to your PS4 and play them without needing to download anything. The reason why its divisive is because the pricing is pretty steep. It’s absolutely worth it if you have time to play a lot of games, but at $20 per month or $44 for three months, it will cost you $240 per year for this service which only consists of PS3 games and not all of them either. Pricing model aside, this service represents a very real application of cloud-based streaming games. It all began when Sony purchased Gaikai for $380 million in 2012 which also sought to create a business around streaming games instantly like many people do with movies and TV shows on Netflix. When the purchase went down, Sony Computer Entertainment head Andrew House promised that the purchase would result in “unparalleled cloud entertainment experiences.” Thus far, the only major product of this partnership is PlayStation Now, but it shows a strong readiness on Sony’s part to support and create a gaming experience that relies soley on streaming games to internet enabled devices. That’s the rub, though. A service like PlayStation Now does need the PS4, the PS3, or any console to stream games. All you need is a screen and a controller of some sort. All of the heavy lifting is done by the cloud servers, so what you’re seeing is just a stream of it over the internet. Your phone, your TV, and even your Tablet are just as capable of streaming games from the cloud as your PS4. And now for the final piece. When I was reading these rumors about PS5 rolling out early as a cloud-based console, I scoffed, hard I’ll admit, but then I started thinking. These rumors don’t offer a lot of evidence, but I started putting the pieces together anyway. The PlayStation VR will be on sale in October 2016 for $399. Of course, this virtual reality headset from Sony is competing with the Oculus Rift ($600) and the HTC Vive ($800). It’s the cheapest of the bunch, but where did this sudden revival come from? The last attempt at virtual reality was when Nintendo released the Virtual Boy to a host of headaches (literally) and nobody tried again after that. Then, seemingly out of nowhere, Oculus Rift appeared on Kickstarter and raised over $2 million for a new virtual reality headset. This proved that there was an interest in this type of technology, which resulted in other companies like Sony jumping on board. This sudden interest in VR means that we’re going to see these new headsets go toe-to-toe with TV in the coming years. Depending on how these types of head-mounted displays combined with things like Sony’s SmartEyeglass, we could see a new hand’s free future where things like television and smartphones takes a backseat to more portable options. Virtual and augmented reality have a lot of potential to change the way we play games and even how we access things like email, apps, and communicate with others. The sky’s the limit, but it’s clear that VR, if successful, could easily threaten or overthrow traditional consoles as we know them, especially with additional tweaks and technology added in to expand their functionality. That’s what all of this is pointing to, but things can change. All we know for sure is that PlayStation VR could potentially change the way we play games forever. What do you think? Do you agree with these points? Share your thoughts in the comments below! Game Devs Predict the PS5!